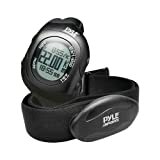 Get a great deal on the top selling Pyle SmartWatches available today. 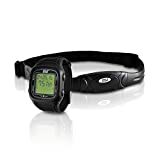 Train smarter with the PSGP310 GPS Smart Watch. Built-in GPS navigation with integrated computer and included software give you detailed performance analysis. Walk, run, bike or perform your outdoor training in a whole new way. 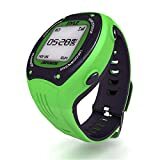 Track your route, or create a new one, it also measure personal statistics like distance, speed and pace. You can compare your last performances against your personal best times - challenge and motivate yourself. 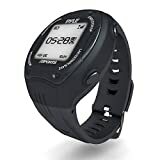 When you're done with your training session, connect the Smart GPS to your computer to see detailed maps and graphs charting your performance. 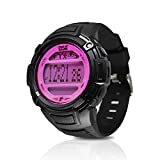 Unlock more possibilities, improve your performance and achieve a new level of motivation with the Pyle PSGP310 GPS Smart Watch. 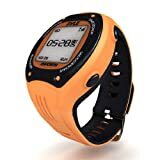 ; Includes Navigation, Measures Distance, Speed, Pace and More. 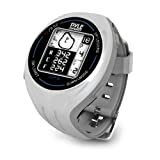 The PSGF605 GPS Smart Golf Watch is the perfect watch and golfing accessory for the golf enthusiast. Find and detect nearby courses, calculate shot distances, locate greens on the current hole and more. It's like having your very own digital caddy right by your side - you can even input your stroke totals and save your score. The LED digital screen clearly displays the hole number, par and shot information which you can quickly recall and use to your advantage. 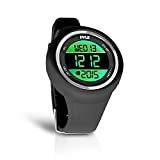 Go for the green and get it in the hole with the Pyle PSGF605 GPS Smart Golf Watch. 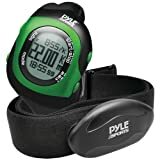 Pyle-Sport Bluetooth(R) Fitness Heart Rate Monitoring Watch With Wireless Data Transmission & Sensor (Green) "Product Category: Exercise Accessories/Heart Rate Monitors"
Don't ever worry about water, sand or dirt damage and give your valuable electronics the protection they deserve! 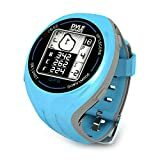 The Pyle PWSIC25 Waterproof Device Pouch is universal and made to fit all Smartphones, Tablets and MP3 Players up to 7.0'' wide, 10.3'' tall and 0.4'' thick. (Works with iPads, Kindles, Galaxy, Android Tablets, iPhones, Android Smartphones, etc.) Once your device is inserted, you'll be able to dive up to 1 meter (3.3 feet) into water for 30 minutes without causing any water damage. IPX-7 marine grade waterproof rating ensures you'll be worry-free against water. Insert your device and secure your device with the double zipper and Velcro fasteners to ensure water tightness. Conductive clear screen cover allows you enjoy full touch screen control capabilities of your device. Conduct business, Skype with friends, watch movies or play games in any wet environment. 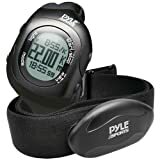 Protect your electronic investment with the Pyle PWSIC25 Waterproof Device Pouch.